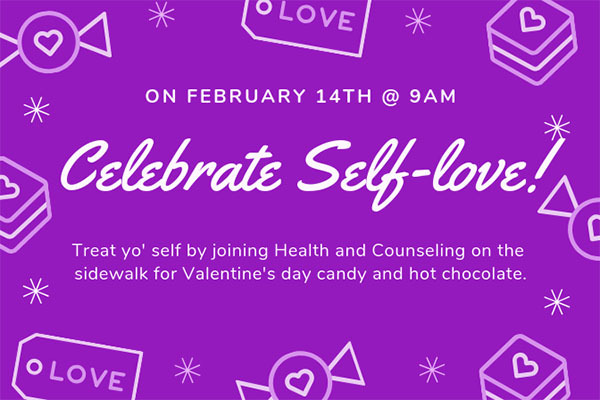 Celebrate Self-love with Valentine's day treats! February 14, 2019 9 – 10 a.m. Celebrating Valentine's Day with Self-love! Stop and enjoy Candy and Hot Chocolate on the sidewalk to Peckham and GAC at 9 am!